Free interview questions and answers to help you prepare for your interview. Know how to handle those tough job interview questions. Go through the list of common interview questions that explore your understanding of the job opportunity and what interests you about the position. Use the sample answers to be ready with your own job-winning interview answers. Be confident of how to handle these interview questions and stand out as the right candidate for the job opportunity. What skills are the most critical to this position? Prepare by listing the tasks given in the job description and identifying which skills are key to successful task performance. Consider the technical skills specific to the position such as knowledge of accounting principles and practices for an accountant position, human resource management principles for a HR position, understanding the sales cycle for a sales position and so on. 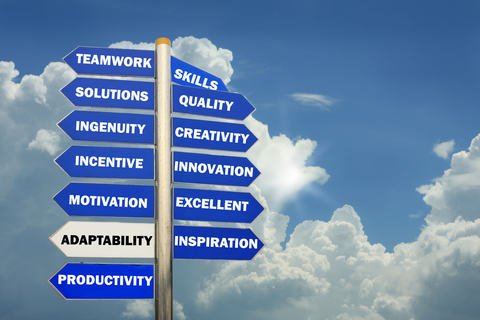 List the competencies required for successful job performance. Competencies or behaviors commonly required in the workplace include problem-solving ability, initiative, resilience, adaptability, organizing and planning and team work. Describe to the interviewer how your experience is relevant to these requirements and how you have successfully demonstrated these skills in your previous positions. "After carefully reviewing this job I would focus on these key skills as the most essential to success. The company is going through considerable restructuring and as a manager I would need to properly manage any changes with my team. My communication, motivation, negotiation and conflict management skills are key to this. In my last job I had considerable experience in these areas when ................."
View the 12 core competencies identified as key to successful job performance. This list of job skills will also help you with answering this interview question. Make sure to refer to these key skills when answering interview questions about why the company should employ you. 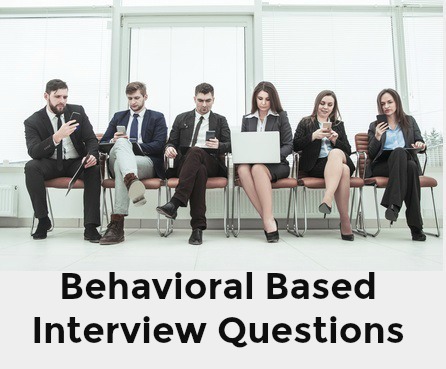 Free interview questions and answers include other typical job interview questions that explore your suitability for the job. Click on each question to view good sample interview answers. What is your reason for leaving your job? Point out the new challenges and experiences you look forward to in the position and why you are qualified to handle them. "I want the challenge of selling a new product. I consider strategy development one of my key skills and I would like to be able to use it to the fullest in developing strategies for selling this product.."
"I get great satisfaction from training new staff members and helping them develop and succeed. I am excited by the sort of training programs I would be running in this position...."
"I am enthusiastic about dealing with such a diverse customer base. I like the challenge of adapting my approach to suit the individual and the situation." Refer to what interests you about the position when you have to answer interview questions about your ideal job. Where else are you interviewing and for what positions? This is a tricky interview question and although candidates feel that interviewers shouldn't ask it, they do! So be prepared for it. Be brief, concise and straightforward. Avoid trying to use this as an opportunity to impress by naming big firms in unrelated industries or those companies that are offering different types of jobs. "I have focused only on jobs that offer me the same sort of opportunities and challenges that your organization does in this particular industry. I recently interviewed with XYZ organization for a similar position." "I have concentrated my job search on positions that offer the same sort of responsibilities and challenges as this position and with similar organizations. To date I have sent my resume to a number of organizations, including XYZ Company and ABC Inc, and we are in the process of setting up interviews." Understand the non-verbal component of your job interview. What message are you sending and what message are you receiving? Find out how to communicate successfully in your interview. Use these example answers for interviews to make the right impression. The comprehensive lists of free interview questions and answers will help you prepare for success in your job interview. Job Interviews > Interview Questions > Skills for this Job?